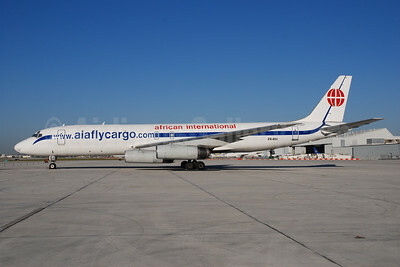 (AIN) (Johannesburg) 1985 - 2008. Photos. Framable Color Prints and Posters. Digital Sharp Images. Aviation Gifts. Slide Shows. 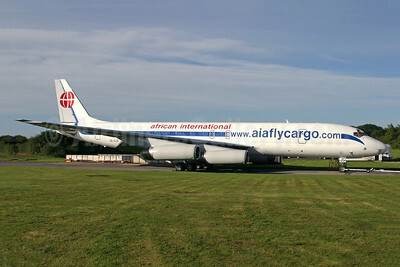 African International Airways McDonnell Douglas DC-8-62 (F) 3D-AJG (ZS-POL) (msn 46110) QLA (Antony J. Best). Image: 945612. 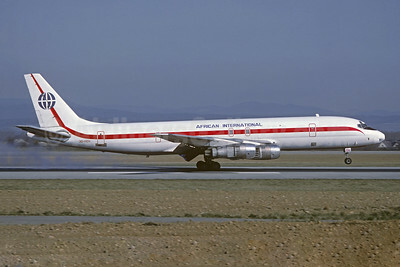 African International Airways McDonnell Douglas DC-8-62 (F) ZS-OSI (msn 46098) (basic Kitty Hawk colors) BSL (Christian Volpati Collection). Image: 920028. 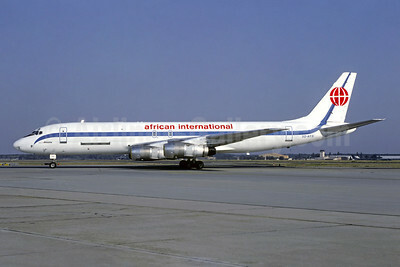 African International Airways McDonnell Douglas DC-8-62 (F) ZS-OSI (msn 46098) (basic Kitty Hawk colors) QLA (Antony J. Best). Image: 928667. 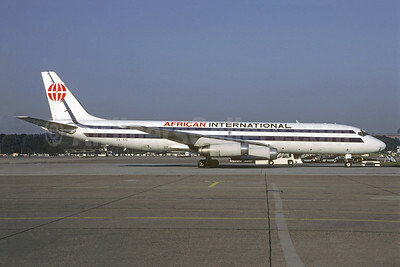 African International Airways McDonnell Douglas DC-8-62 (F) ZS-OSI (msn 46098) MIA (Bruce Drum). Image: 100325. 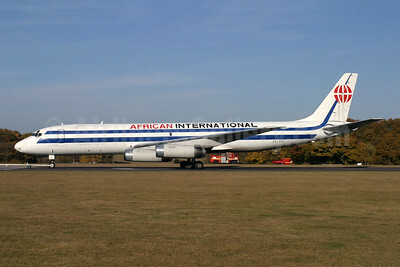 African International Airways McDonnell Douglas DC-8F-54 Jet Trader 3D-ADV (ZS-PAE) (msn 46012) BSL (Christian Volpati Collection). Image: 945613. African International Airways McDonnell Douglas DC-8F-54 Jet Trader 3D-ADV (ZS-PAE) (msn 46012) CDG (Christian Volpati Collection). Image: 945614. 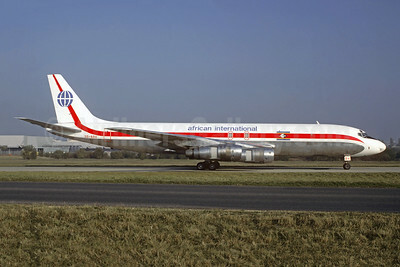 African International Airways McDonnell Douglas DC-8F-54 Jet Trader 3D-AFR (msn 45802) FRA (Christian Volpati Collection). Image: 920029.